If I were invited to a Christmas party, this is what I would wear. The skirt is in my closet and I own a similar top and similar pair of shoes (peep toe style). Gold, green and leopard go great together. Now if only I had somewhere to where this to..hint hint dear hubby let's go somewhere. Do you ever go out somewhere just because you want to wear a special outfit? The skirt is from Target and I bought it just in case I needed to wear it someday. I also got it in red because red pencil skirts are hard to find. I would use the gift card to buy household things. That's the second pair of gold sparkly shoes I've seen on blogs today. I'm sold - give them to me! These ones are only $29! That top is just the BEST! Thanks so much for the giveaway!! I would get a new pair of boots. I would get an oversized scarf . Oooh I just fell in love with the shoes && the top. I love everything glittery, sparkley, and girly. I would love to try some new mascara from Avon!! I would get makeup and groceries! I would get some body and face wash. I LOOOVE that sparkly top! So perfect with the skirt! 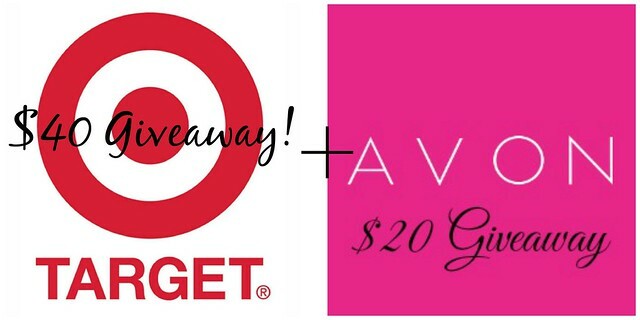 With the Target card, I'd buy some DVDs and with the Avon card, I'd buy a few bubble baths! Sent over from The Penniless Socialite. Thanks for a great giveaway! I would get some pajamas. I would buy a set of pans for my kitchen , thank you! I would buy some jeans and eyeliner. I'd buy health and beauty products. I would get food from target and get my GF something from avon. How have I never seen a sequined peplum top before? That is stunning and this outfit is perfect!